Login below 8am - 7pm EDT (GMT -04:00) Mon - Fri. IMPORTANT: Non-mobile devices must enable pop-up windows as seen below. iPhone / iPad supported if you download IBM Connections Chat from Apple App Store and configure... Add Community - My Companys server, Name: NotesMail Chat, Host Server: greenhouse.lotus.com, Port: 443, User ID: guest1@notesmail.com, Password: ibmnotes, Remember Password: Disabled, Connection Type: Autheticating Proxy, Reuse Credentials: Enabled. '); // Suport IBM Connections Meetings Cloud chat on iOS if (pos_iOS1 != '-1' || pos_iOS2 != '-1') document.write('Apple iOS detected: iPhone / iPad supported if you download IBM Connections Meetings from Apple App Store, then configure... Menu icon - Join Cloud Meeting - Meeting ID: 1943-6197 - Join as Guest - Display Name - Join - Menu icon - Chat icon - Your message - Send. '); // Suport IBM Sametime chat on Android // else if (posDroid != '-1') document.write('Google Android detected: Android supported if you download IBM Connections Chat, from the Google Play Store, then configure... Add Community - My Companys server, Name: NotesMail Chat, Host Server: greenhouse.lotus.com, Port: 443, User ID: guest1@notesmail.com, Password: ibmnotes, Remember Password: Disabled, Connection Type: Autheticating Proxy, Reuse Credentials: Enabled. '); // Suport IBM Connections Meetings Cloud chat on Android else if (posDroid != '-1') document.write('Google Android detected: Android supported if you download IBM Connections Meetings from Google Play Store, then configure... Menu icon - Join Cloud Meeting - Meeting ID: 1943-6197 - Join as Guest - Display Name - Join - Menu icon - Chat icon - Your message - Send. '); else if (pos1 != '-1') document.write('Internet Explorer detected: If you already clicked button below, then close the new window that opened. Click menu, Internet Options, Privacy tab, deselect "Turn on Pop-up Blocker", OK. Alternatively, allow pop-ups from: *.collabserv.com'); else if (pos2 != '-1') document.write('Chrome detected: Click menu, Settings, Advanced, Privacy - Content settings, Pop-ups - Allow all sites to show pop-ups, Done. 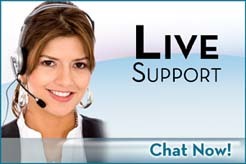 After Login click 'IBM BP Help Desk' under 'Online Participants', then click 'Chat'.